Corpor@te Facilities Services are delighted to announce that we have been selected for contract renewal at Eastgate Shopping Centre, Gloucester for the cleaning provisions following a vigorous tender process. As part of the contract renewal CFS have invested in state of the art cleaning machinery which has been selected to improve the cleaning operations onsite. The scrubber dryers have been fitted with eco-dose systems to reduce the level of chemicals being used and the golf buggy has been adapted with a beacon, horn and tow bar installed to be utilised as a versatile vehicle that is capable of being used as a tug to move the waste bins around in the service areas. 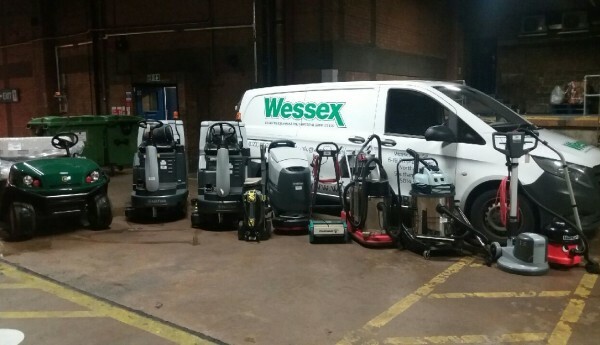 Thanks goes to our machinery partner – Wessex Cleaning and Janitorial who have supplied our machinery and conduct site training for all of the cleaning team on delivery.